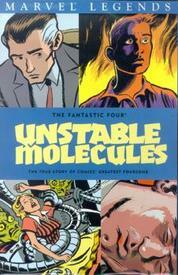 Back in print at last, Unstable Molecules is one of the best graphic novels Marvel has produced... well, possibly, ever, but, to hedge our bets, let’s say, "in quite awhile." In any event, it is like nothing Marvel has ever produced in the past. It is a textual analysis of comics done in comics, and it is one of the finest ever produced -- certainly the finest ever produced by Marvel! It should be considered in the context of Understanding Comics and Hicksville as much as the Fantastic Four. Telling the "true" story of the "real people" that the Fantastic Four were based on, this book is a work of metacomics and a dream come true for students of narrative theory at the same time that it makes for an enormously entertaining read. It explodes the text rather than simply deconstructing it. This is a one of kind feat that will probably not be duplicated any time soon. 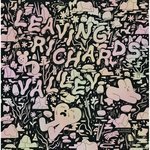 PLEASE NOTE: We are currently sold out of the book collection, so we are in its place offering complete sets of the original hard-to-find four-issue limited series for the same price, while supplies last! Don't miss it this time!